apple education | Edtech, Go! I am proud to share that the international collaboration among technology integration experts, or more specifically, Apple Distinguished Educators, has been published in the iBook Store. The Pedagogy Toolkit showcases how the use of the iPad supports research and evidence-based pedagogies and opens us for more possibilities in fostering 21st century learning skills in students. The project was conceived in the Berlin Apple Distinguished Educators Worldwide Institute in July 2016. The multi-touch book was co-authored by Nic Ford (United Kingdom), John Hart (Finland), Missi Stec (United States), and Francis Jim Tuscano (Philippines). Pedagogy Toolkit includes various ways on how the use iPad in the classroom can support evidence-based strategies and practices involving Phonics, Reading Comprehension, Metacognition and Self-regulation, Feedback, and Collaboration. Exemplary works of students, sharing of faculty and student about their experiences, and suggested apps are also included in the book. Download the multi-touch book from the iBook Store here. For educators in the Philippines, the iBook Store is not yet available in the country, so, an iTunes U companion course is in the pipeline and will contain an iBook version of the book which can be downloaded in your iOS devices. The last week of July 2016 became the best professional learning yet that I had experienced as an educator. 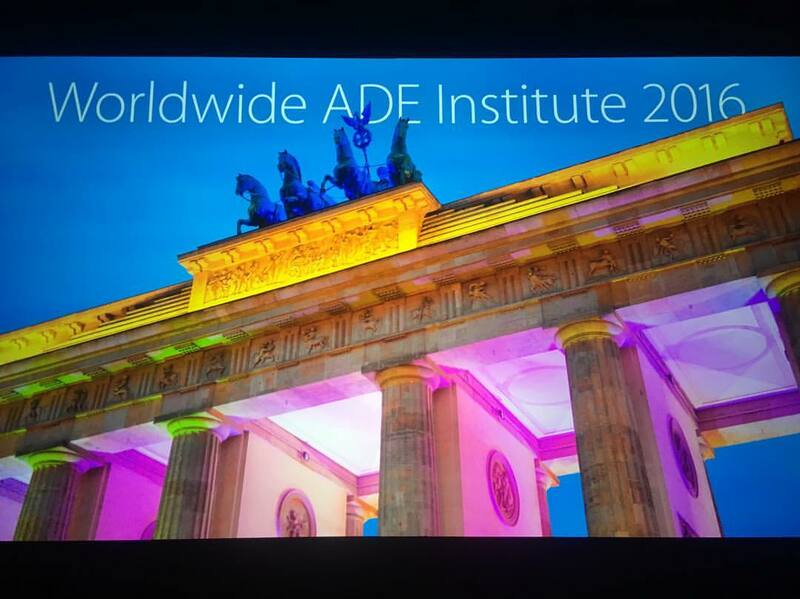 The Worldwide Apple Distinguished Educators Institute 2016 was held in the lovely and magnificent city of Berlin in Germany. It was my first time to attend a worldwide event for ADEs since becoming a member of the global community last year and attending the APAC Institute in Singapore. Almost 400 educators from 38 different countries around the world gathered to share, learn, and collaborate on projects that aim to create a “dent in the universe” and to continue making a difference in the field learning and teaching. The enthusiasm and energy during the institute were off the charts. It was also a great opportunity to network and finally get to meet in person the other amazing ADEs that I usually would interact with or follow on Twitter. The Institute was of course a hit because of the exclusive updates on Apple apps, such as on iTunes U and Classroom app, that the Apple Education team shared. We were given a chance to have master classes and sit in expert labs that were facilitated by the product managers or developers of Apple apps, such as Keynote, iBooks Author, iTunes U among others. We also had hands on or playground sessions dedicated for coding and STEAM. ADEs got the chance to use various coding gadgets and apps such as Bloxels, Sphere and the upcoming Swift Playground among others. My favourite and probably the best part of the Institute was the ADE Showcases. During the showcases, our fellow ADEs shared to the community the marvellous and amazing work that they have done in their own school, district, or the international scene. There was a great mix and diversity among the presenters, which was perfect because I got the chance to see how Apple technology is employed in various contexts around the world. The best presentations for me were those that showed how Apple technology can enable and support learning among the physically-challenged learners. This was of course due to the fact the Apple has really worked on the accessibility features of its devices, especially the iPad. Kudos to Team Japan for touching my heart because of their great presentations. Shout out to fellow Filipino ADE, Peter Esperanza who shared his amazing work on flipping AP Calculus and other Math subjects. 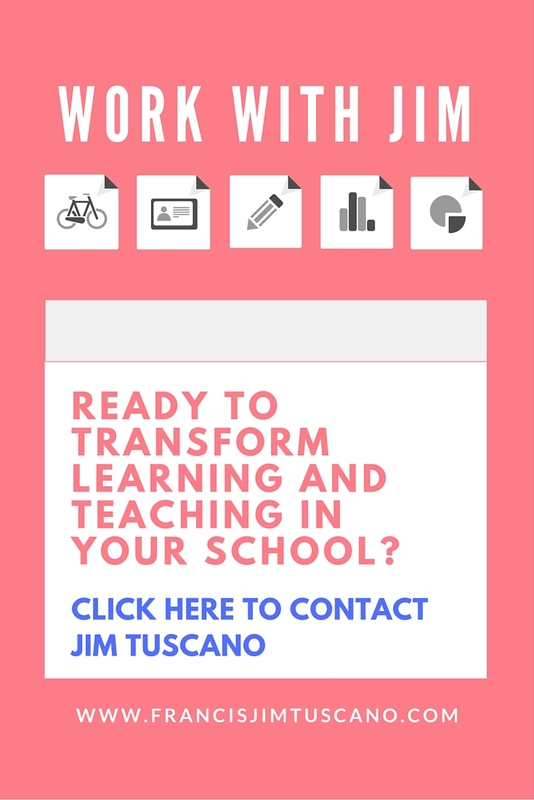 As part of our commitment to continue making a difference in learning and teaching, we formed and collaborated in groups as we started working on projects that aim to support and help other educators around the globe, who wishes to transform the learning experiences that they design for their students. So, watch out for these amazing works from ADEs in the coming months. Of course our stay in Berlin would not be complete if we did not have the chance to go for offsite visits and tours. The gorgeous Apple Store in Berlin was our first stop. We met with Eye Em app’s developers who shared their company’s journey towards being one of the best photography apps in the AppStore. We also had the chance to go around and play with Apple devices in the store. After that, we were free to roam around and visit the various historical and tourists spots in Berlin. Finally, the young CEO of Math 42 app also shared to us his company’s journey from being curious students to expert and successful developers of one of the best educational app. This was just a sharing of what happened in the Institute. Wait for my blog on the leanings that I had from #ADE2016.